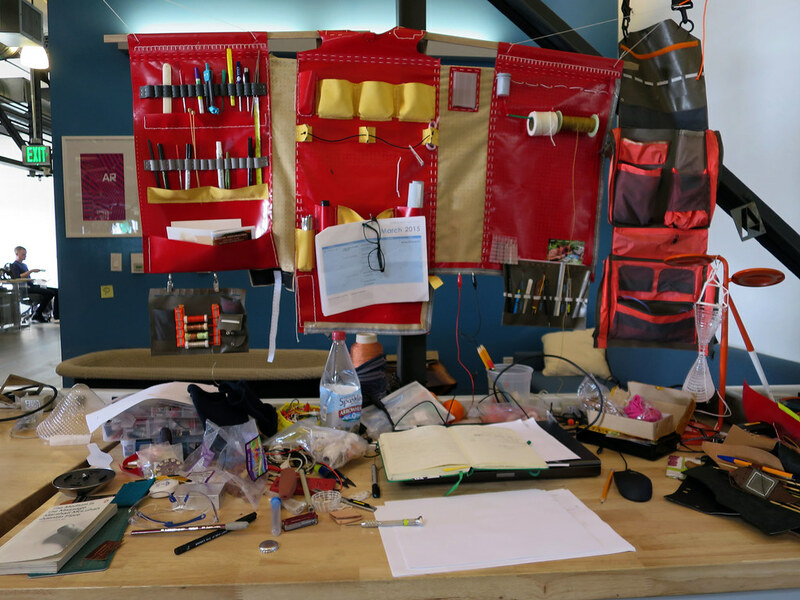 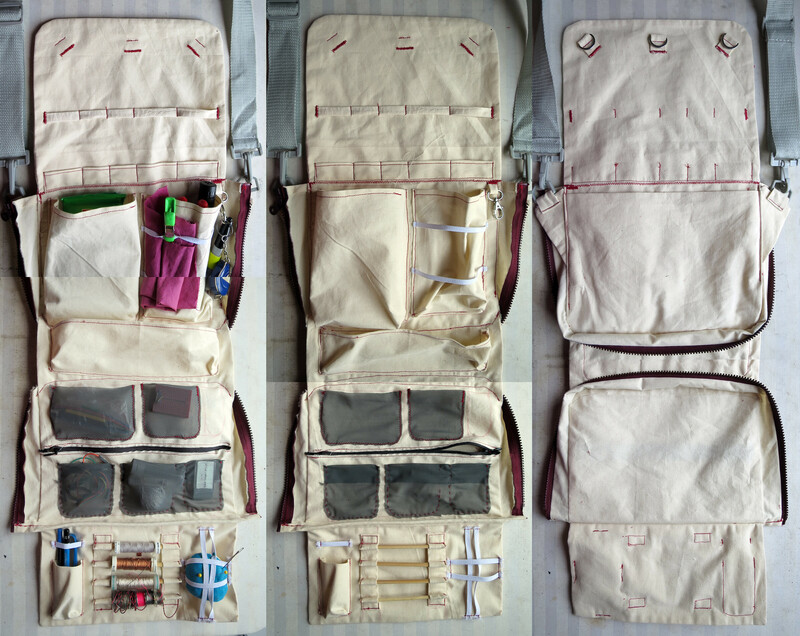 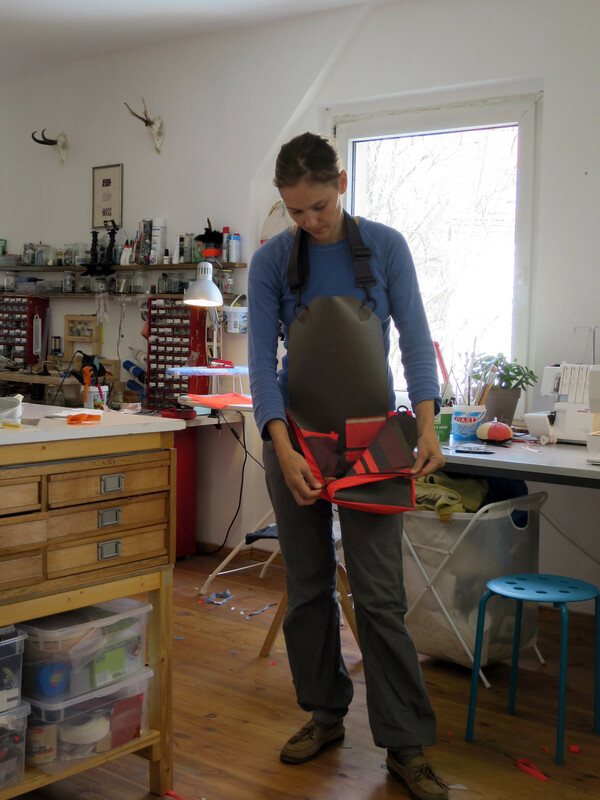 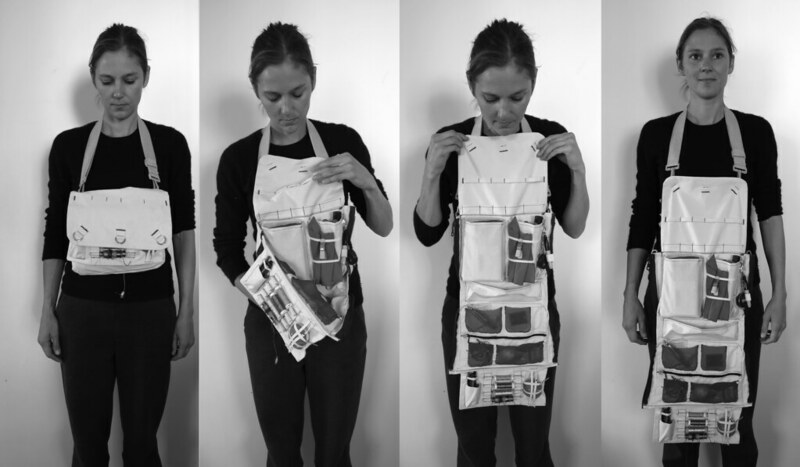 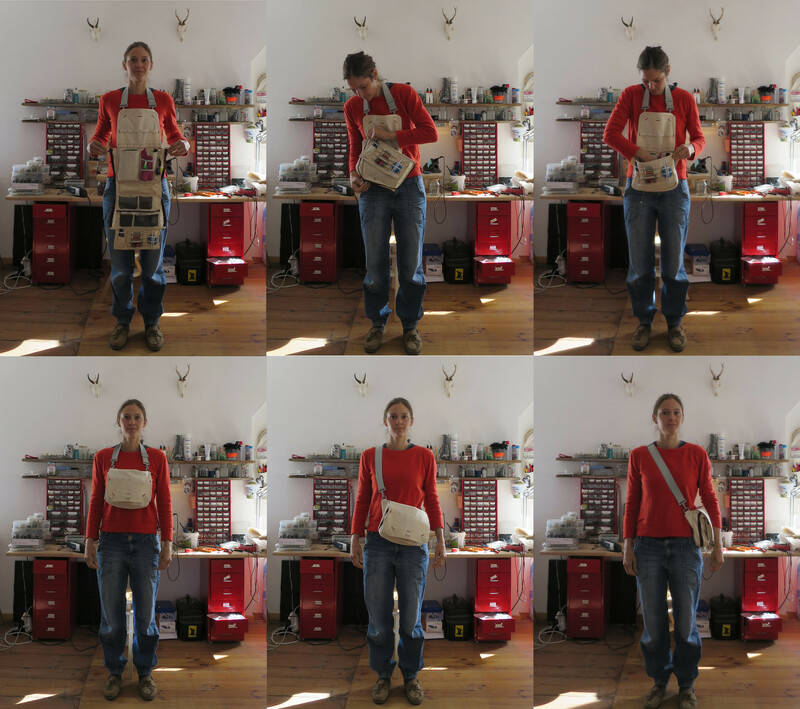 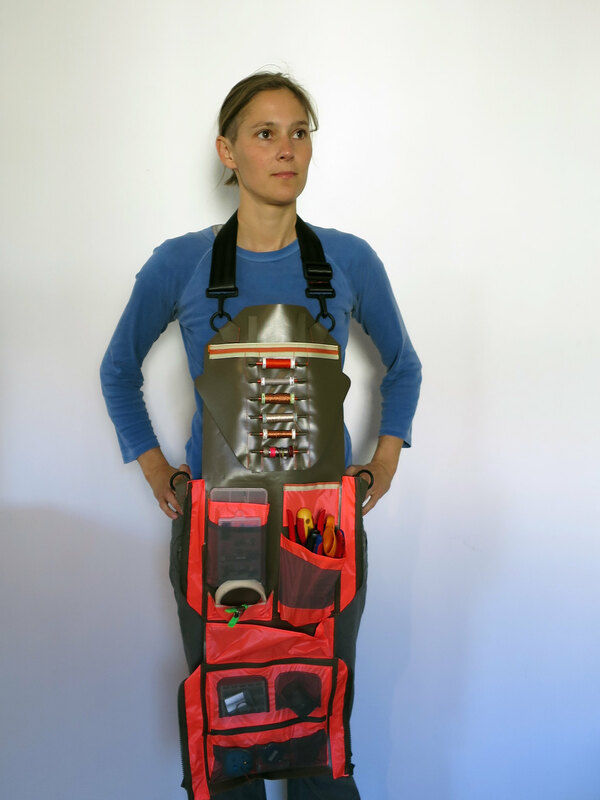 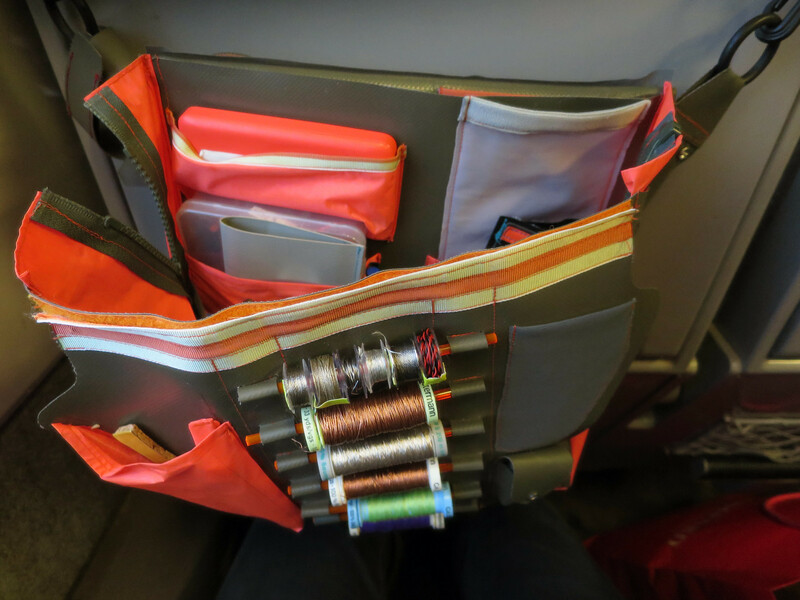 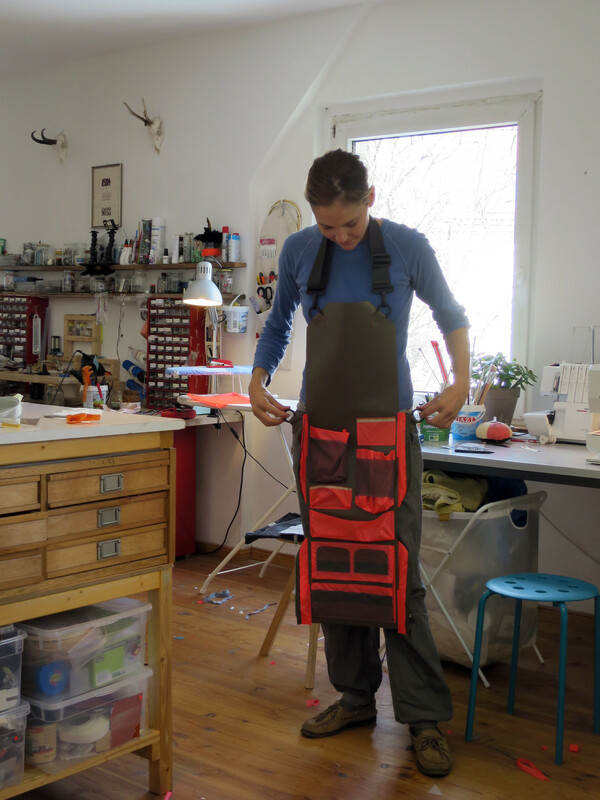 A shoulder bag, apron, belt and hanging workstation all in one. 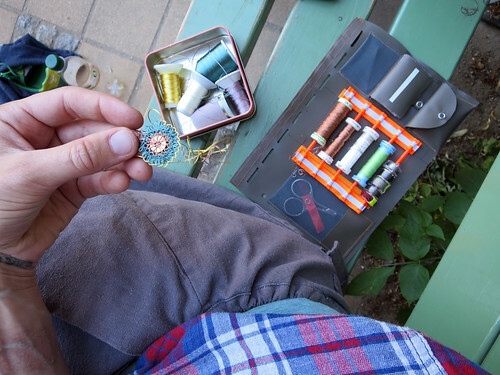 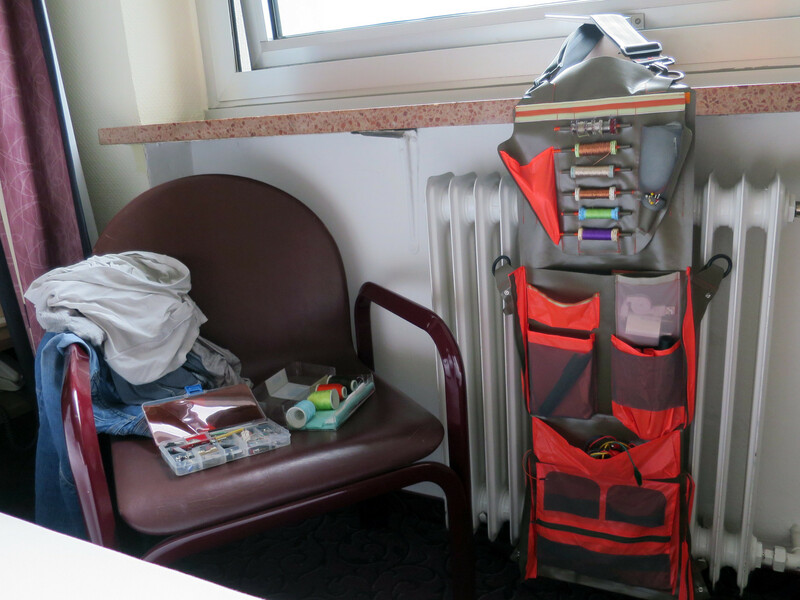 A reasonably compact version of my studio workspace that allows me to comfortably carry a selection of all the tools I commonly use, as well as a selection of materials that can be determined by the nature of the occasion. 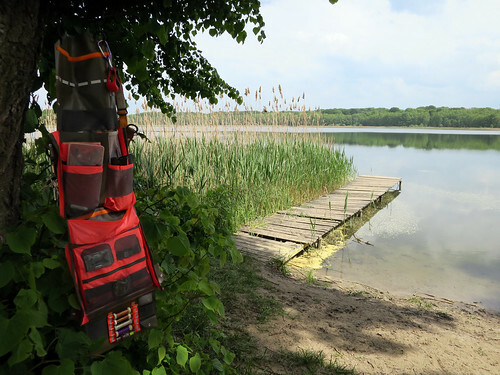 The Daypack itself not only carries the supplies but itself becomes part of the workspace by offering organization, easy access and storage facilities. 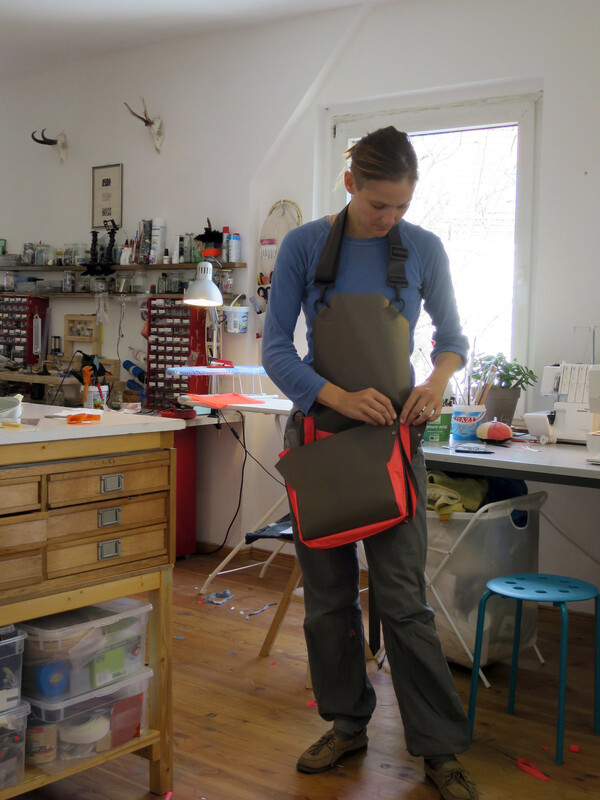 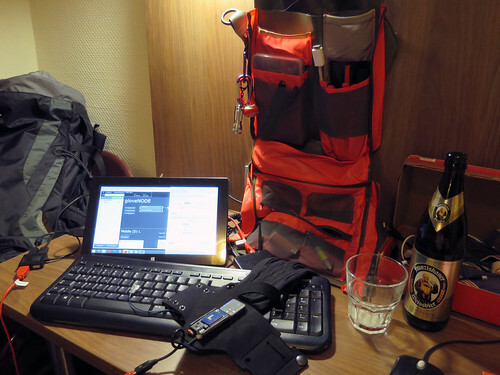 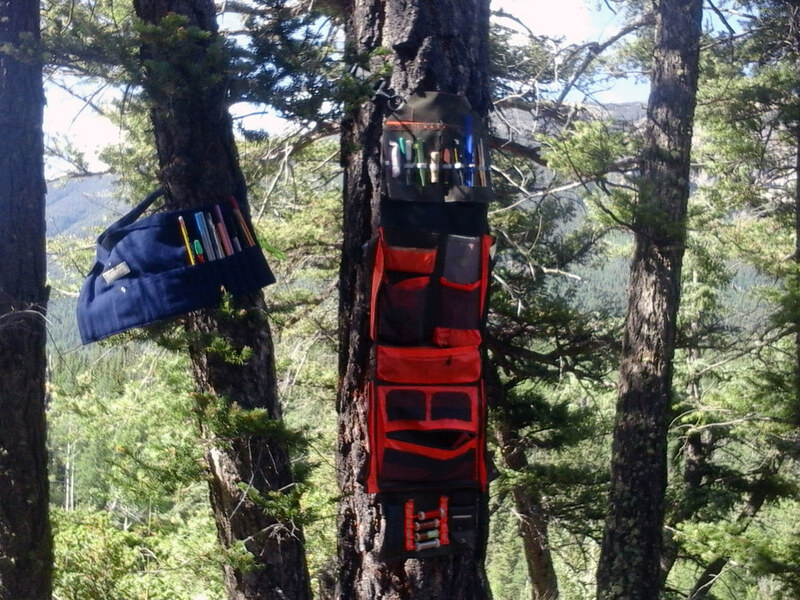 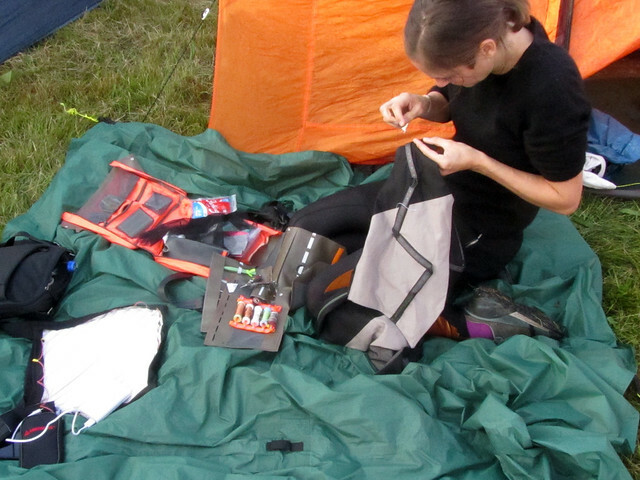 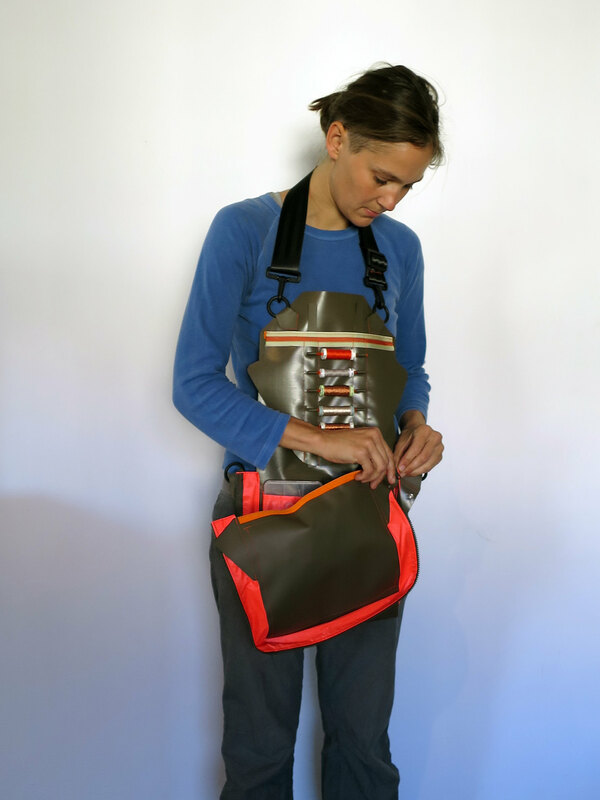 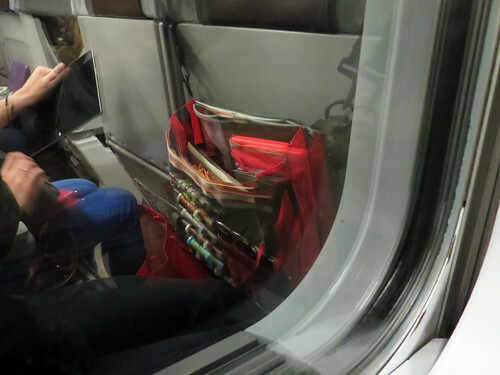 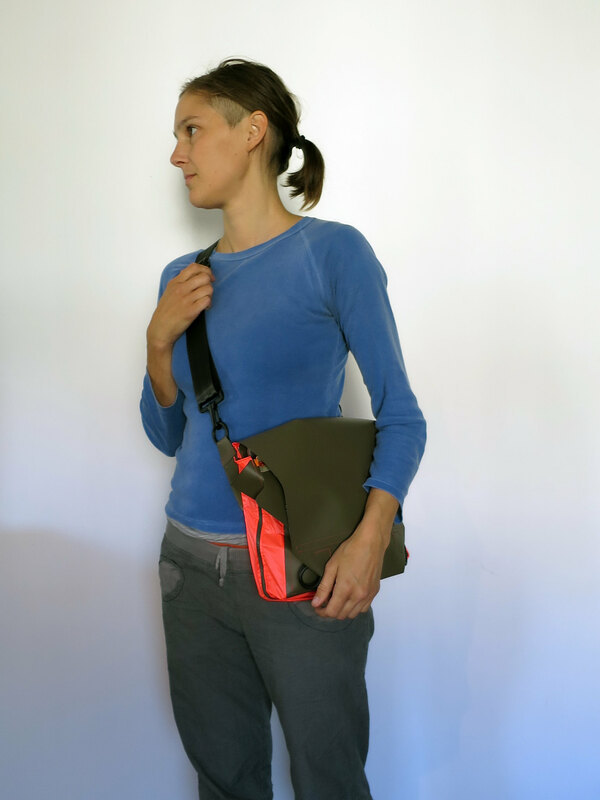 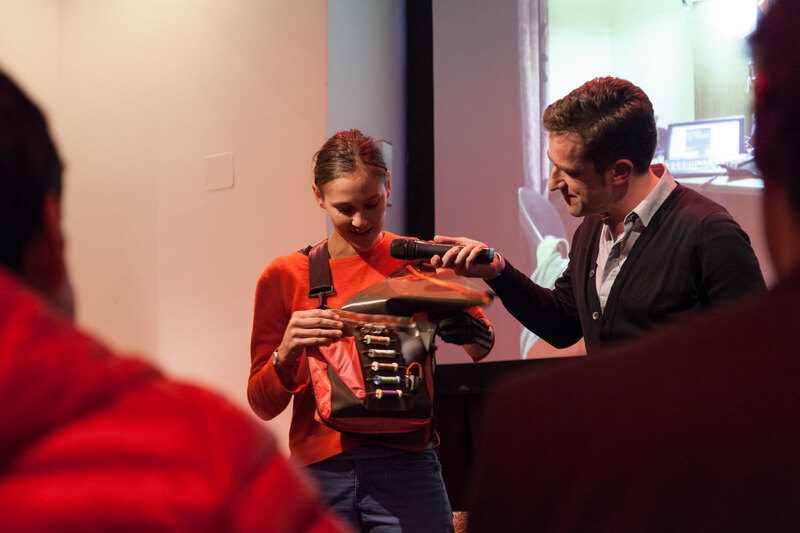 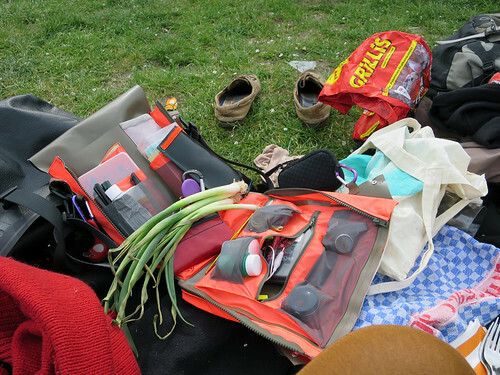 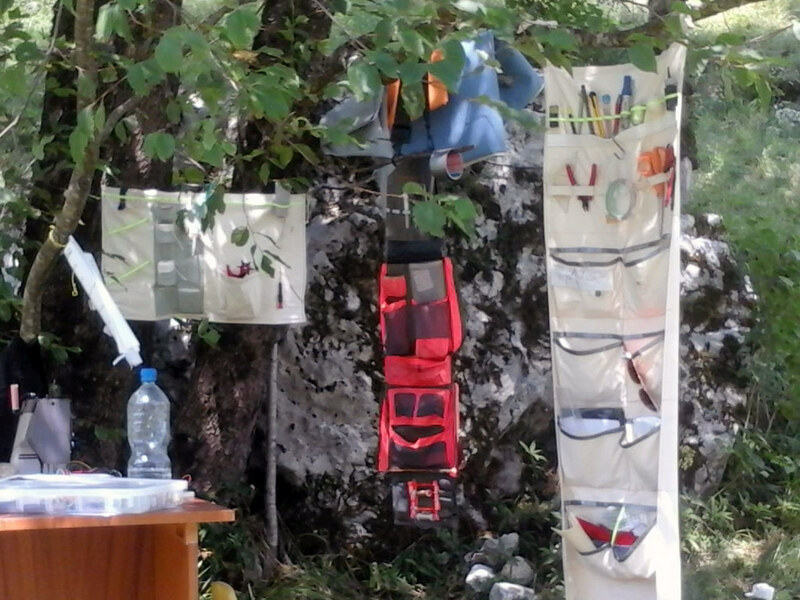 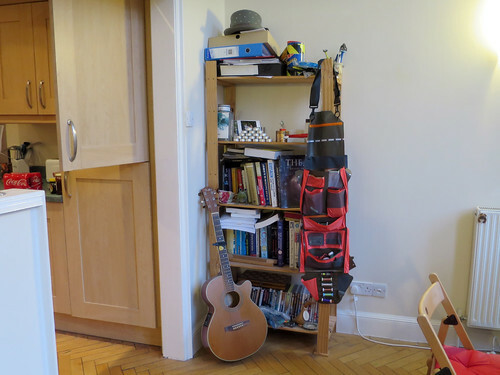 It should be possible to carry the Daypack for the duration of a full day, so it also has space for food and drink, after all a studio space is not only about production, but also about living and surviving.